Based in Maryland, Lockheed Martin is a world-known technology company that holds a long legacy of achievements in aerospace, defense and emerging technologies. Given their exemplary reputation, it’s no surprise that the U.S. Defense Advanced Research Projects Agency (DARPA) selected an elite team of engineers and scientists from Lockheed Martin’s Advanced Technology Center(ATC) to design a revolutionary new space telescope. Called the James Webb Space Telescope, the team at Lockheed Martin invested in the MakerBot Desktop 3D printer for rapid prototyping and to streamline the design process in order to meet the 2018 launch date. John Camp, a former mechanical engineer at Lockheed Martin’s ATC lead the initiative to incorporate 3D printing technology into the development process of the telescope. With the MakerBot Replicator 2 printer, they printed over 250 pieces just within the first quarter. The Webb Telescope contains many delicate systems that go through cryogenic testing to ensure the machinery will hold up in the freezing vacuum of space. With the MakerBots, John and his team at ATC were able to test parts using 3D printed prototypes while actual metal components were placed in cryogenic test chambers. 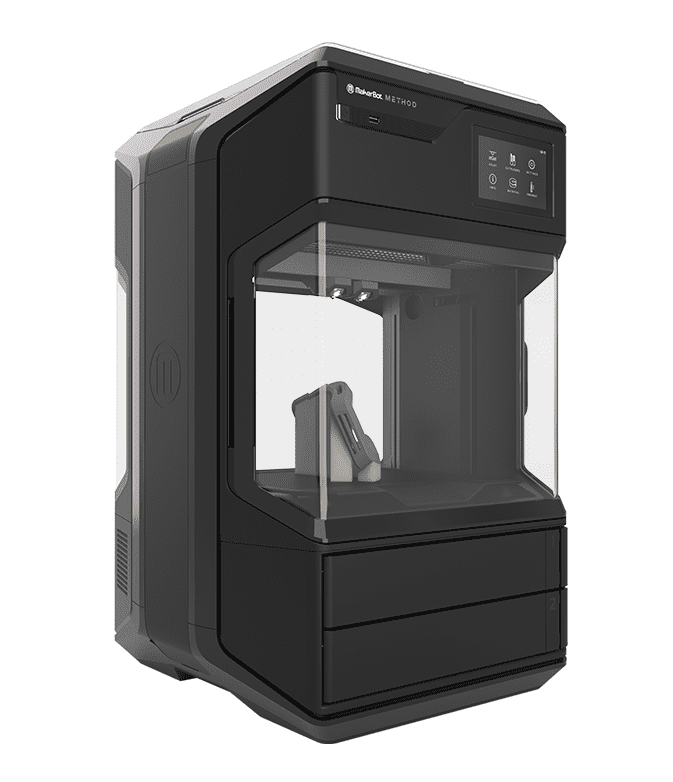 By accelerating and streamlining the design process, MakerBot’s Desktop 3D printers have enabled professionals to print different concept models for field testing and even functional, custom tools on demand. The engineers at ATC are able to save both time and money by integrating 3D printing solutions into their workflow.